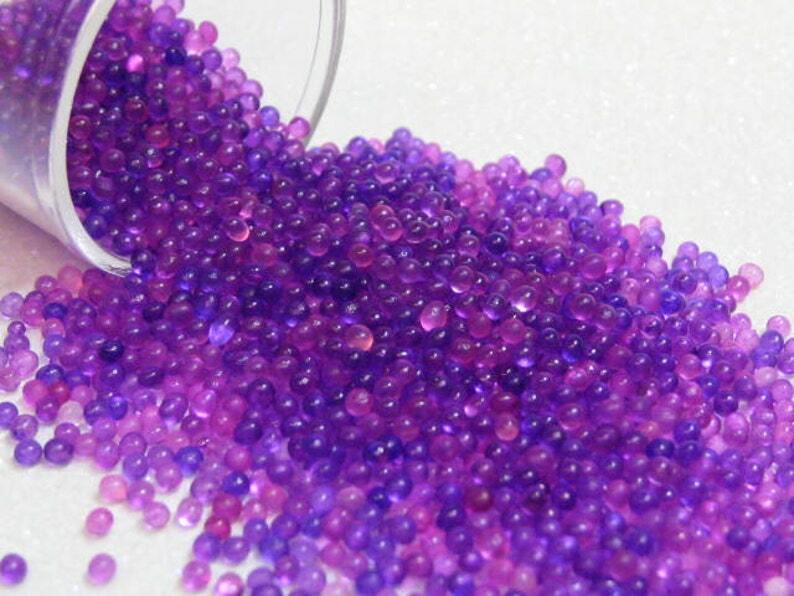 1.25mm - 2mm glass no-hole microbeads in a grape purple mix. Comes with free reusable one inch plastic container. Lid fits tightly to avoid spillage. A full half ounce aka 14 grams by weight. Approximately 2 teaspoons by volume. Always happy to customize microbead mixes in various colors and sizes of your choosing. You can also get multiple colors and sizes bagged seperately. As long as it equals 14 grams minimum! Just contact me if interested in any of those options! Check my other listings for a huge variety of choices in different sizes, colors, and finishes! I like the color mix. The bead size varies a little bit - maybe from 1.5 - 2mm, but it works well for my use. Just what I wanted - container is quite small so if you are looking for a lot of them - I recommend getting several. Wonderful item! Thank you! I’m excited to use these in my resin crafting.